Joined Inria team with IRIF (Distributed algorithms and graphs team, UMR 8243, Paris Diderot University and CNRS). 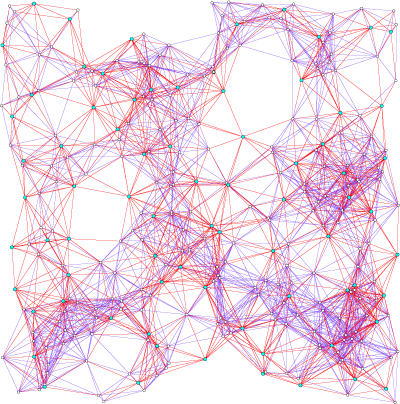 GANG focuses on algorithm design for large scale networks using structural properties of these networks. Application domains include the development of optimized protocols for large dynamic networks such as mobile networks or overlay networks over Internet. This includes for instance peer-to-peer applications, or the navigability of social networks. GANG tools come from recent advances in the field of graph algorithms, both in centralized and distributed settings. In particular, this includes graph decomposition and geometric properties (such as low doubling dimension, low dimension embedding, etc.). Today, the management of large networks, Internet being the reference, is best effort. However, the demand for mobility (ad hoc networks, wireless connectivity, etc.) and for dynamicity (node churn, fault tolerance, etc.) is increasing. In this distributed setting, it becomes necessary to design a new generation of algorithms and protocols to face the challenge of large scale mobility and dynamicity. In the mean time, recent and sophisticated theoretical results have emerged, offering interesting new tracks for managing large networks. These results concern centralized and decentralized algorithms for solving key problems in communication networks, including routing, but also information retrieval, localization, or load balancing. They are mainly based on structural properties observed in most of real networks: approximate topology with low dimension metric spaces, low treewidth, low doubling dimension, graph minor freeness, etc. In addition, graph decomposition techniques have recently progressed. 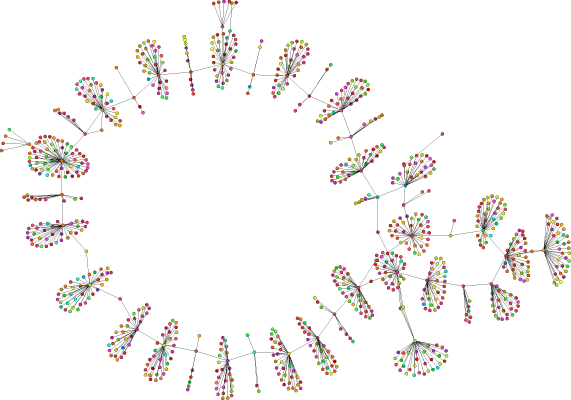 The scientific community has now tools for optimizing network management. First striking results include designing overlay networks for peer-to-peer systems and understanding the navigability of large social networks.